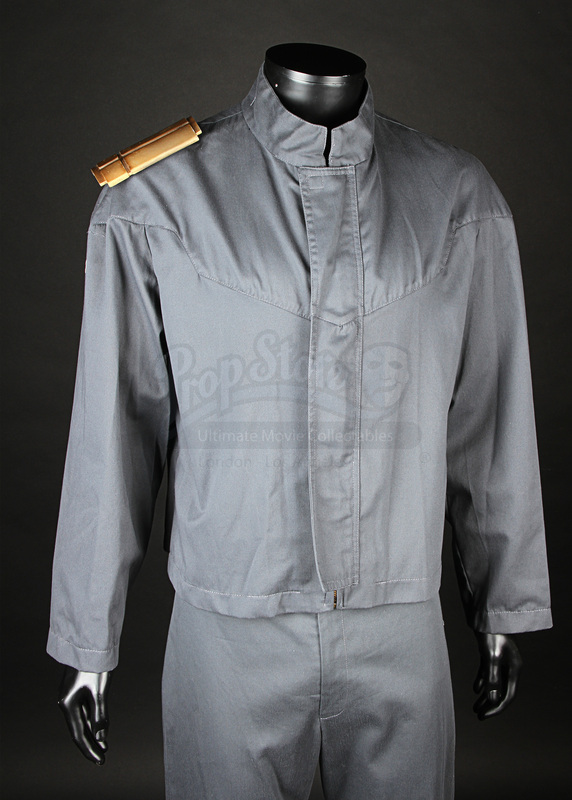 A uniform worn in the production of Pete Travis’ dystopian thriller Dredd. 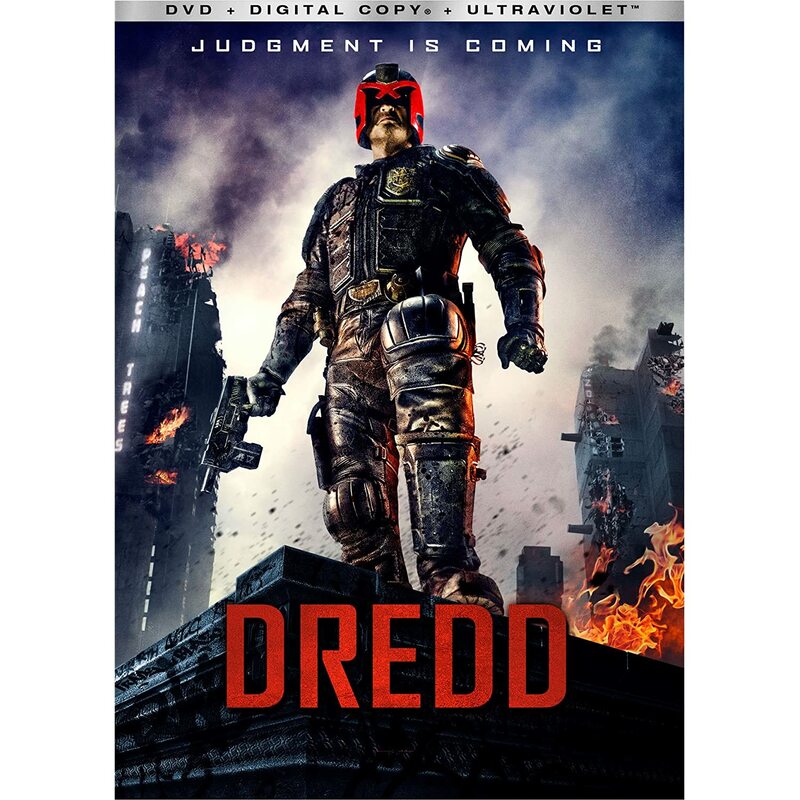 Assigned a psychic rookie candidate for field training, Judge Dredd (Karl Urban) and rookie Anderson (Olivia Thirlby) hit the streets of Mega City 1 and soon become embroiled in a deep investigation regarding the illegal drug SLO-MO and brutal gang leader Ma-Ma (Lena Headey). 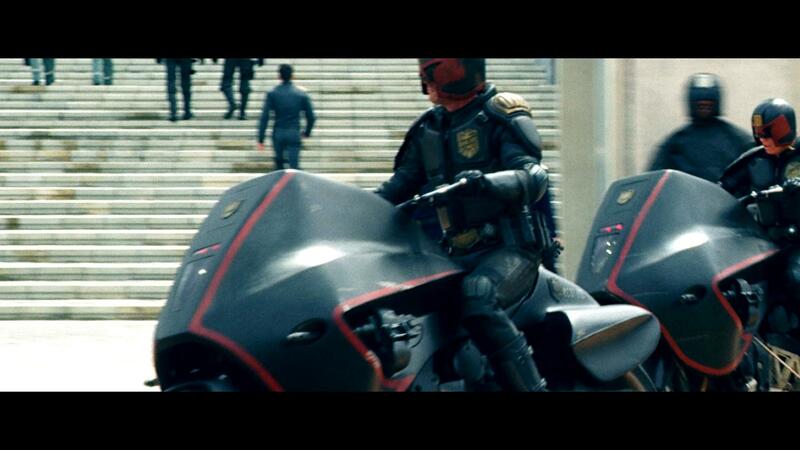 This uniform and others like it were worn by the civil administrators seen around the Halls of Justice at the start of the film as Anderson and Dredd prepare for their assessment patrol. 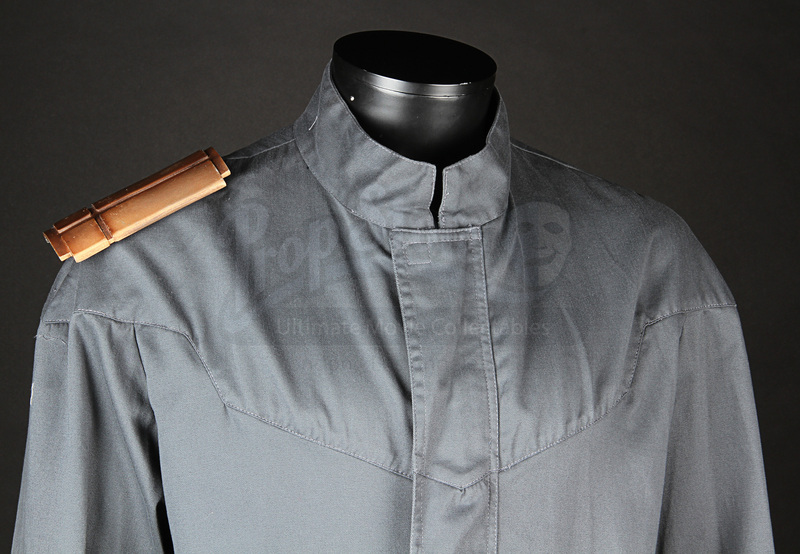 The uniform is composed of a jacket (marked as size 44) and trousers (marked as size 34) made of dark grey cotton material with a resin epaulette board, finished in faux-gold paint, worn on the right shoulder. Displaying only minor wear from use on the production, the uniform remains in very good production-used condition.